Introducing the Made in Brum book, showcasing the very best art and design the city has to offer, featuring you. 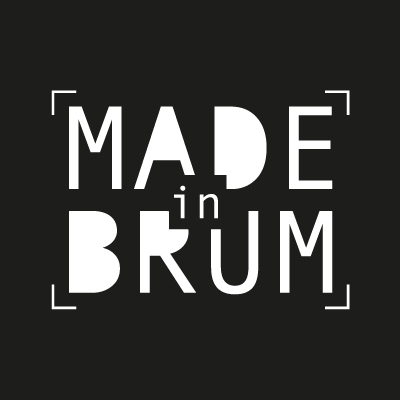 Want your work featured in the Made in Brum book? We’re looking for your best artwork, photographs, and designs which show what Birmingham is made of. Think representations of iconic landmarks – the amazing architecture of the Bullring to the calms of Birmingham’s canals – or the world-renowned brands that were created here like Typhoo, Bird’s Custard, and of course, Cadbury. Simply submit your work on our website and you could have it published in the Made in Brum book which will be sold in locations all around Birmingham! Make your mark on the city and show the world what Birmingham is made of. Plus, you’ll get some copies of your own to keep or give away! From Ozzy Ozbourne to Matthew Boulton, who is your favorite local icon? Please submit your entry using the submission form. You can enter as many pieces of work in as many categories as you would like. You must provide contact details in order to be notified in the instance that you win. You must have the rights to any file that you submit in order to be considered. Entries must be submitted by 31st of August to be considered. PCL Digital have the right to extend the competition deadline. Upload your submission in JPG, JPEG, PNG or PDF. Which categories do you want to enter your work in? Keep your eyes peeled for the Made In Brum book, coming soon.